Lithodora are half hardy or hardy perennial subshrubs that range from 15 cm to 1.2 m in height. 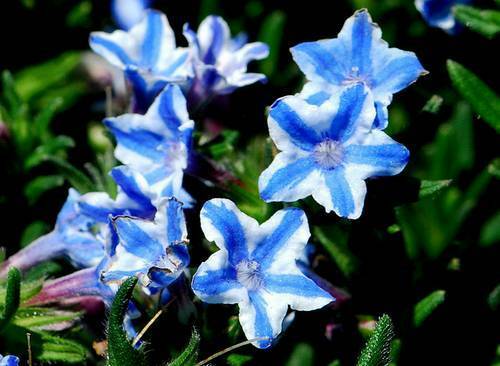 They carry star shaped funnel flowers of blue, white, yellow or purple. The time they flower depends on the species, usually in the spring or summer; but some Lithodora varieties flower twice a year, in spring and in autumn. Common names for Lithodora include Indian Paint, Gromwell and Puccoon. Lithodora picture by Paul Schultz. Lithodora white star photograph by tracie7779. Height: 6 to 20 inches (15—50 cm). Largely low-growing but some Sub-Shrubs up to 48 inches (120 cm). Typically a low growing plant that can spread up to 36 inches (90 cm). Growing Region: Zones 5 to 8. Flowers: Spring and summer, to autumn. Most species in spring but some bloom twice a year. Flower Details: White, blue, violet, purple, yellow. Small. Star shaped funnels. Five-lobed. Foliage: Evergreen. Alternate leaves. Silky. Often densely branched. Twisted stems when mature. Lithodora oleifolia has leaves similar to those of the olive. 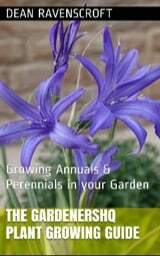 Growing: Best grown from cuttings as it is difficult to obtain seed as flowers are usually sterile, also garden cultivars may not stay true. If you do have seed then start indoors at the beginning of spring. Plants can be transplanted pretty much anytime when it is warm, even if they are in bloom, but ensure that soil is attached to the roots (not bare-rooted) when transplanting. Space at 8 to 16 inches (20—40 cm); crowding results in taller plants. Requirements and care: Full sunlight for best results, or partial shade (may become leggy). Good drainage. Moist soil. Acidic soil. Amend with organic material. Leaves may become damaged with frost, so consider growing in containers and bringing indoors in colder areas. Regular watering during warm/dry periods. Trim after blooming has completed to maintain tidiness. Mulch if over-wintering outdoors. Propagate: by taking semi-hardwood cuttings from new tip growths in mid to late summer. Miscellaneous: The name Lithodora means ‘Stone Gift’ in Greek, and refers to the fact that they are largely found in a rocky habitat. Lithodora diffusa (Spreading Lithodora) is especially popular with gardeners due to its lovely Azure blue color, it looks great as part of a rock garden or in containers. Attracts bees to the garden. It is not recommended to try to grow Indian Paint and other Lithodora species from seeds but to take cuttings in the middle of summer, or to purchase plants from a garden centre. Lithodora should preferably grow in a sunny (will be ok in a partially shaded) part of the garden, and has a preference for an acidic soil that is moist and well drained. They should be planted from 20 cm (small Lithodora species) to 45 cm (large Lithodora plant varieties) apart. 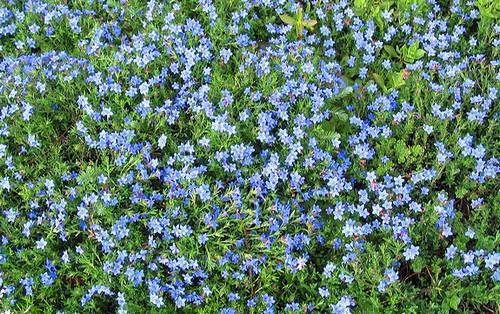 Once established, Lithodora are fairly easy to look after. They should be watered in hot weather and the soil kept moist. Once flowering has finished the plant should be trimmed. It is best to mulch the plant in the winter.